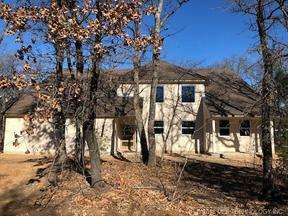 Amazing NEW CONSTRUCTION home on ONE ACRE in GREEN OAKS near LAKE TEXOMA! Impressive Entry, High Ceilings, Open Concept, Spacious Kitchen with Island, Stainless LG Appliances, and Granite Countertops with Under Cabinet Lighting. Upgraded Lighting throughout with motion Sensors. So Many Extras and So Much Space for the Price!! Beautiful, Mature Oak Trees and Room for a Workshop, RV, or Boat. If you're Looking for a Peaceful Retreat, Investment Property or Place to Entertain Family and Friends, THIS IS IT! !